As of August 01, 2014 I am the proud owner of CraftyAndy.com and CraftyAndy.net, both domains have been registered to me. It launches a new era in my life and more to come as life keeps evolving. 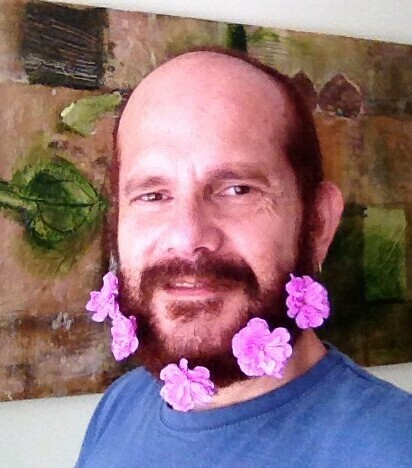 There is a cool trend for men these days, flowers in your beard. I could not resist. I have been quiet these days as I am working on a pattern. Pattern working is very hard, as you need to test the fabric you are making and be willing to undo and redo the work until it is up to your liking. I hope you have a great summer and a wonderful winter to my souther hemisphere friends. Thanks for stopping by!